Spurred by a likely El Niño as well as climate change, the planet is expected to heat up even more, scientists warn. 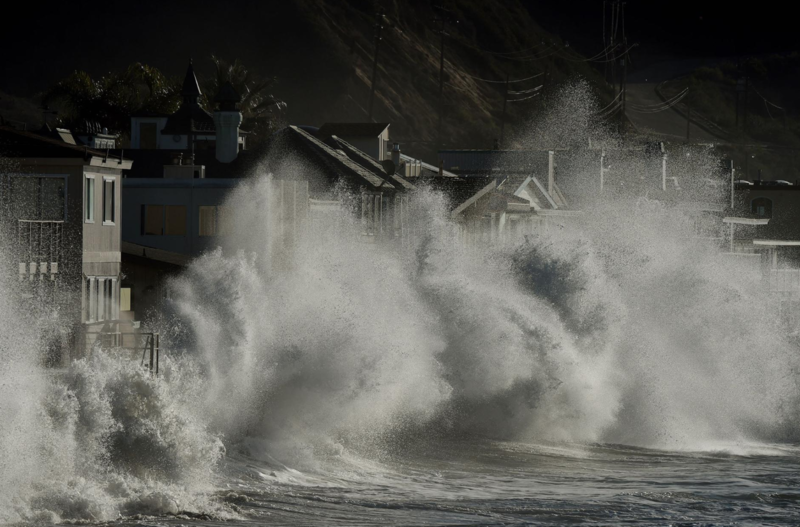 The impacts of El Niño have been more severe in recent years because of global warming, and these impacts will be worse as temperatures continue to rise, according to a recent study in the journal Geophysical Research Letters. “With an El Niño, it’s entirely possible 2019 will be the hottest year ever,” said co-author Samantha Stevenson, a climate scientist at the University of California, Santa Barbara. The top four hottest years have been among the last four, 2015-2018, driven by increased emissions of heat-trapping carbon dioxide (CO2)—which have also reached record levels, according to the World Meteorological Organization (WMO). The Earth’s climate has been warmer than the 20th Century average over the last 406 consecutive months. That means no one under the age of 32 has ever experienced a cooler-than-average month. “Every fraction of a degree of warming makes a difference to human health and access to food and fresh water, to the extinction of animals and plants, to the survival of coral reefs and marine life,’’ said WMO Deputy Secretary-General Elena Manaenkova. A warmer world means more and greater extremes in destructive and dangerous weather, such as heat waves, wildfires, droughts, flooding, and violent storms. There were 70 tropical cyclones or hurricanes in the Northern Hemisphere in 2018, compared with the long-term average of 53. Powerful and often record-breaking storms brought devastation to the Mariana Islands, Philippines, Vietnam, Korea, and Tonga. In the U.S., hurricanes Florence and Michael caused huge economic damage and considerable loss of life, the WMO noted in its annual climate statement. Heat waves resulted in an astounding loss in productivity in 2018, because it was often either too hot to work or even go outside safely. An incredible 153 billion hours of labor were wiped out last year due to heat waves, nearly three times more than 2000, according to the 2018 report of the Lancet Countdown on health and climate change released November 28. The most recent El Niño event ended in 2016, and it was associated with catastrophic coral bleaching on the Great Barrier Reef, severe droughts in Africa, South America and parts of the Pacific and southeast Asia, and wildfires in Indonesia and Canada. While the current El Niño is not expected to be as severe, it could still bring dangerous weather to vulnerable areas around the world, scientists warn. 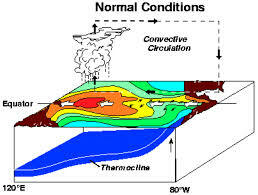 El Niño and its opposite, La Niña, form a natural cycle that can last from a few months to two or three years. When they occur, weather patterns around the world can be affected, producing a range of impacts on crop yields, famine, heating, and cooling demands of homes and buildings, fire risks, coral bleaching, and extreme weather. Researchers say the impacts of El Niño/La Niña events have become more severe over the past 20 years due to a warmer climate. This is akin to a baseball player on steroids who takes stimulants during the play-offs. The combination of human-caused warming and a natural upswing in temperatures increases the odds that any new El Niño year will be the warmest ever, said climate scientist Michael Mann from Pennsylvania State University. Mann co-authored a 2018 study linking climate change to the recent run of record-breaking droughts, heat waves, wildfires, and flooding events in the northern hemisphere. These destructive weather extremes will increase 50 percent on average and may increase as much as 300 percent due to climate change alone unless the world acts quickly to cut carbon emissions from burning fossil fuels, the study concluded. Normally, El Niño events bring heavy rains to California, and if that happens this winter it could lead to flash flooding and mud slides after wildfires burned 1.6 million acres this fall, said Stevenson. Nearly 14,000 homes were destroyed in those fires and now the first storms of the season have already produced flooding and mud slides. While El Niño brings rain and cooler weather to the southern U.S., it brings heat and drought to Australia, as well as dry winter conditions in southeastern Africa and northern Brazil. Catastrophic wildfires have already broken out in eastern Australia, along with a heat wave with temperatures over 111 degrees F (44 degrees C) at the end of November. As global warming continues future El Niño events will likely result in even cooler and wetter conditions in the U.S., enhancing flood risks. Meanwhile, La Niña events will increase wildfire danger and drought in the southwestern United States, Stevenson said. While the impacts of El Niño/La Niña events are amplified in a warmer world, it’s not known whether climate change will affect the occurrence or strength of these events in the future, she said. What causes El Niño events? La Niña and El Niño are, respectively, the cold and warm phases of the El Niño-Southern Oscillation (ENSO) cycle, which regulates heat in the eastern tropical Pacific Ocean. In conditions defined by climatologists as “neutral,” high air pressure predominates in the eastern Pacific, while low pressure predominates in the west. The difference in pressure generates the trade winds, which blow east to west over the surface of the tropical Pacific, pushing the warm waters westward. The deeper, cooler waters then surface in the east, replacing the warm waters. During episodes of La Niña, the differences in pressure are more marked, the trade winds blow more strongly, and the cold-water currents in the eastern Pacific intensify. On the other hand, during El Niño, high surface air pressure in the western Pacific and lower pressure on the coasts of the Americas cause the trade winds to weaken or change direction, resulting in warmer water temperatures in the eastern Pacific. It was Peruvian fishers who named El Niño after the Christ child (“niño” means child or boy in Spanish), since the effects of the warming of the surface waters of the eastern Pacific ocean—such as bringing rain to the dry Peruvian deserts—show up around Christmas. Over months, and sometimes years, the heat in the surface layer of the Pacific dissipates and the deeper colder water gets to the surface, aided by changes in the trade winds. This results either in a return to neutral conditions or the appearance of La Niña (“girl” in Spanish), the “gift- giver,” bringing cold, nutrient-rich water that is a boon to marine life, supporting a larger fish population, and increasing the fish catch off the Peruvian coast.